A tapestry showing a rustic laneway in a very pretty part of Italy. 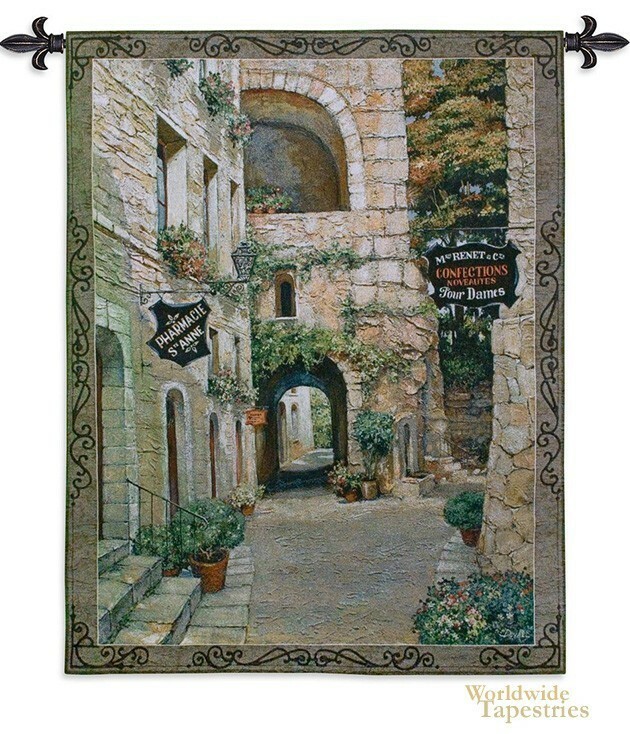 This tapestry shows the traditional style buildings in old Italy where cobblestones and archways and narrow lanes paved the way. Delicate pots of flowers and creepers adorned these buildings and created an ambiance that can be only found in European cities which has pockets of these building styles. Take a walk into this Italian country village. This tapestry is backed with lining and a tunnel for easy hanging. Note: tapestry rod and tassels, where pictured, are purchased separately.